So the “official” private search has ended. A privately funded search for missing Malaysia Airlines flight MH370 has drawn to a close. US-based company Ocean Infinity had been using a deep-sea vessel to conduct a 90-day survey of a vast area of the southern Indian Ocean. But it found nothing and Malaysia’s government says it has no plans to begin any new searches. The plane disappeared on 8 March 2014 while flying from Kuala Lumpur to Beijing with 239 people on board. There are still fierce debates over how the flight ended. 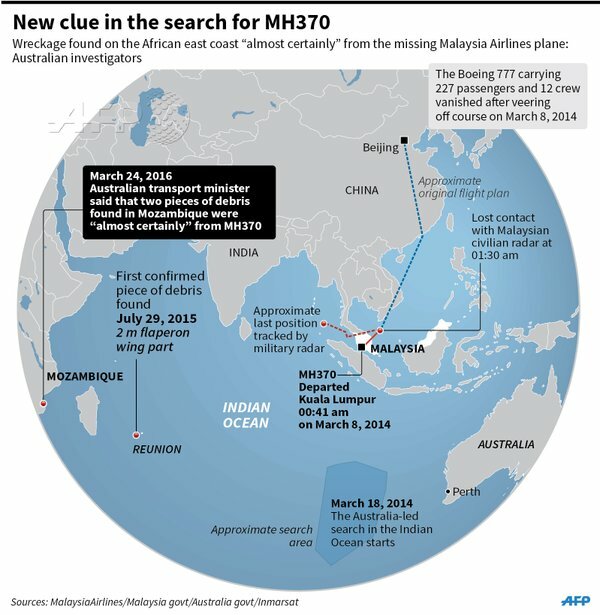 The hunt for the missing plane formed one of the largest surface and underwater searches in aviation history, covering more than 120,000 sq km (46,300 miles) of the Indian Ocean. A few weeks ago the disinformation machine tried to pin the blame on a suicidal pilot – but it was all speculation and fairly idle speculation at that. The most credible explanation – which is still fairly incredulous remains the one I posted on April 13th, 2014 about 5 weeks after the event – that this was the most successful state-sponsored hijacking event ever. MH370: The most successful, state-sponsored hijacking ever? The most parsimonious explanation is that this vanishing trick was the deliberate and intended result of an operation which was spectacularly and successfully implemented. The Chinese software engineers “stole” technology on behalf of the Chinese government from Freescale. Freescale was slow in picking up the theft and alerting the authorities. US intelligence and security agencies were unable to prevent the engineers and their package from reaching Malaysia. They were also unable to prevent the engineers boarding MH370 bound for Beijing or the precious cargo from being loaded as diplomatic cargo. The operational arm of a US Security Agency took the decision – without recourse to their political masters – to prevent the engineers and their cargo from reaching Beijing, at any cost. Since collateral damage would be high it was imperative that all evidence be obliterated. With the probable assistance of Boeing, and soon after take-off, the in-flight computer was remotely re-programmed. The auto-pilot was remotely put into uninterruptible mode. The Malaysian military was “persuaded” – without the knowledge of their political masters – to ignore the plane’s turn-back and flight westwards over Malaysia for a few critical hours. The passengers and crew were all “executed” by the excursion up to 45,000 feet implemented by the autopilot. The remainder of the flight path was to get the plane and it’s cargo into an as inaccessible a location as possible. The aircraft was allowed to run out of fuel such that the auto-pilot made as soft a ditching as possible in as remote a place as possible. This increased the probability of the plane sinking intact with little or no debris. The location was deliberately chosen to be over deep ocean so that any black-box evidence would be almost impossible to come by. It is almost inconceivable that a commercial airliner with 239 passengers and crew just vanished off the face of the earth. But that is what happened 4 years ago today. Nothing much more is known since one year after the most perplexing incident of modern aviation. Some few do know what happened to MH370 a year ago. My post from April 13th last year speculating that this was a state sponsored and highly successful hijacking, is just as valid or invalid as it was then. There has been much speculation since but no new, certain, evidence has appeared. In fact even the “handshake” tracking which places the plane in the Southern Indian Ocean turns out to be fairly speculative in itself. Whatever happened to MH370 was no accident. In one year there has been no evidence to alter my belief that this was the most successful hijacking and “disappearing” of a commercial airline and its 239 passengers and crew. And the objective – which was clearly achieved – was to prevent some passengers or cargo or both from reaching Beijing. 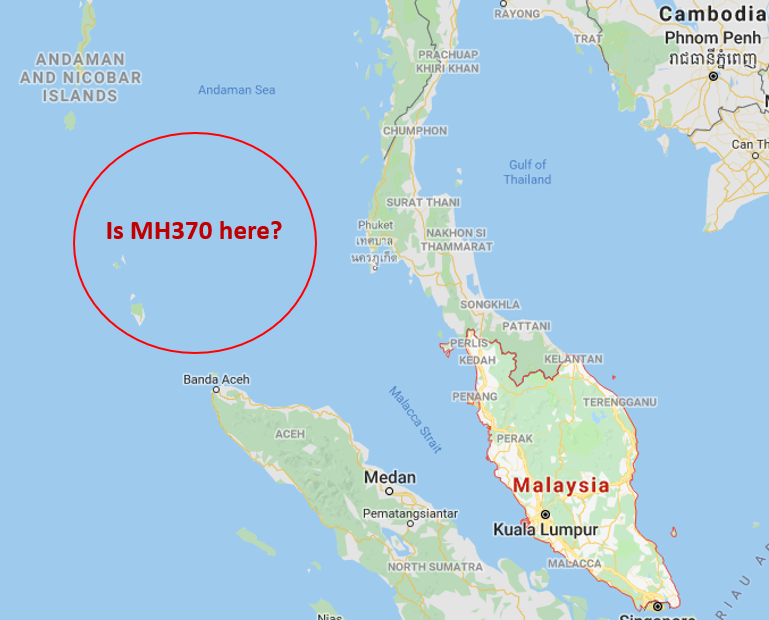 I wrote quite a few posts about the MH370 vanishing when it happened almost three and a half years ago. Australia has now ended its search and Australian investigators “have delivered their final report into missing Malaysia Airlines flight 370, saying it is “almost inconceivable” the aircraft has not been found”. But some people somewhere know what happened, but they are not telling. The aircraft and its 239 passengers and crew just vanished in March 2014. From somewhere in the depths of the Indian Ocean two pieces of debris have found their way to the shores of Reunion Island and Mozambique. It is thought highly likely that they are from MH370. The Guardian: Debris found in Mozambique is “almost certainly” from the missing Malaysia Airlines flight MH370, the Australian government has confirmed, fuelling belief that the remains of the plane will be found in the coming months. Darren Chester, the minister for infrastructure and transport, said in a statement on Thursday analysis has found that the two pieces of debris – separate discoveries in Mozambique in the past four months – is “highly likely to have come from MH370”. Blaine Alan Gibson, an American lawyer who has given over much of the past year to his independent search for the plane, found a metre-long piece of metal washed up on a sand bank in Mozambique on 27 February. Coverage of his find led South African teenager Liam Lotter to come forward with the similar item he found on a beach while on vacation in southern Mozambique in late December. We are maybe one millimetre closer to finding MH370 but we are still not much closer to finding out what happened to MH370. At least all theories which had the aircraft ending up on land (on Diego Garcia or in Uzbekistan) can be discarded. But all the many theories about how it ended up at the bottom of the sea in a deep and inaccessible part of the Indian Ocean are still alive. I am becoming convinced that this was all deliberate and a highly successful operation with a very high level of collateral damage – 239 dead. Two years ago, today, MH370 disappeared. There were 239 people on board and not a trace of any thing has so far been found. After enormous search efforts – which still continue – we are no closer to knowing how or why this modern jetliner vanished without trace. The theories are many. A new theory which I have seen recently is that the lithium-ion batteries on board over-heated, knocked out all electronic and electric systems, and started a fire which eventually caused the plane to crash. Maybe the “burning plane” that an oil rig operator thought he saw over the South China Sea was MH370. But still no remains or debris has been found. To believe with certainty does not convert a belief – which lies in the space of ignorance – into the space of knowledge. ……. Prosecutors in Paris, who had until now been more cautious on the provenance of the debris, said a technician from Airbus Defense and Space (ADS-SAU) in Spain, which had made the part for Boeing, had formally identified one of three numbers found on the flaperon as being from MH370. It does seem highly probable that the flaperon comes from a Boeing 777 and the identifying number which would specify it came from MH370 has now been “formally identified”. In which case I wonder why it is still a “belief”. Presumably there is some lack of certainty in this “identification”. It seems very probable now that that it comes from MH370 but as long it is a belief it remains in the space of ignorance. SU-GBP damaged beyond repair. Wings intact. G-YMMM damaged beyond repair, flaperon intact. HL7742 damaged beyond repair, flaperon possibly damaged. 9M-MRO (MH370) Missing, flaperon status unknown, possibly found on Reunion Island. 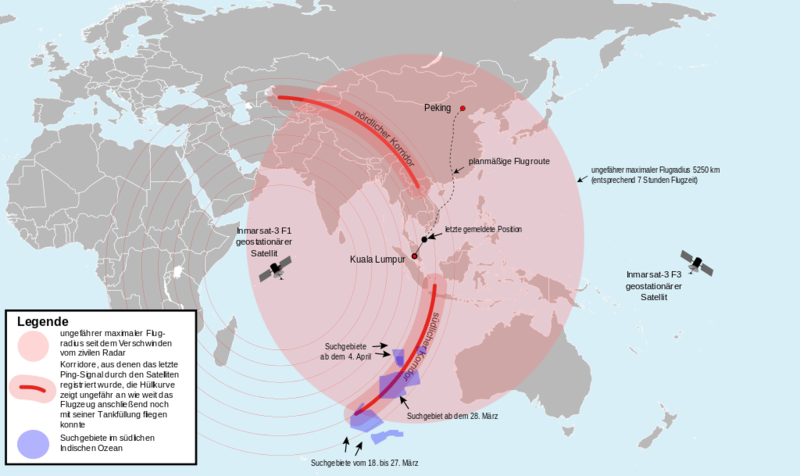 Another theory about the MH370 disappearance. 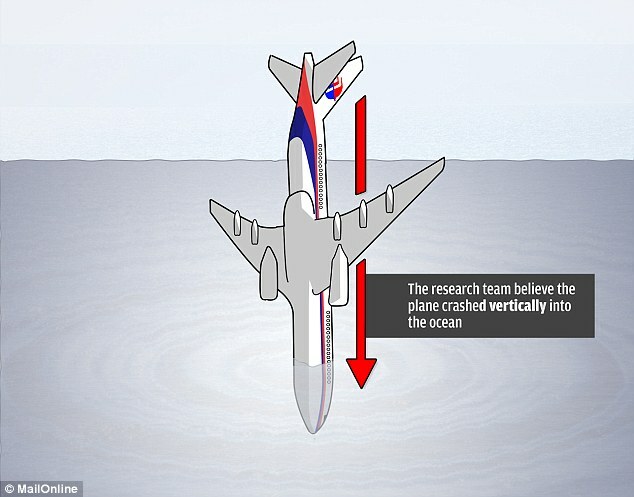 Mathematics shows that if the pilot nosedived vertically into the ocean, it might explain why no debris has been found. Texas A&M University at Qatar mathematician Goong Chen has theorized the ill-fated plane plunged vertically into the southern Indian Ocean in March 2014. Chen is an applied mathematician teaching and researching at Texas A&M at Qatar who has been a faculty member in the Department of Mathematics at Texas A&M University’s main campus in College Station, Texas, USA since 1987. He led the interdisciplinary team of collaborators from Texas A&M, Penn State, Virginia Tech, MIT and the Qatar Environment and Energy Research Institute (QEERI) in simulating and modeling what might have happened to the plane. His research is supported by the QNRF National Priority Research Project Grant #5-674-1-114. Chen said based on all available evidence — especially the lack of floating debris or oil spills near the area of the presumed crash — the mostly likely theory is that the plane entered the water at a vertical or steep angle. ……. The fluid dynamics simulations indicate, for a vertical water entry of the plane, that there would be no large bending moment, which is what happens when an external force, or moment, is applied to a structural element (such as a plane), which then causes the fuselage to buckle and break up. As the vertical water-entry is the smoothest with only small bending moment in contrast with other angles of entry, the aircraft is less likely to experience “global failure,” or break-up on entry near the ocean surface, which would explain the lack of debris or oil near the presumed crash site. Based also on the suggestions of other aviation experts, Chen said in such a situation the wings would have broken off almost immediately and, along with other heavy debris, would have sunk to the bottom of the ocean, leaving little or no trace to be spotted. I have been traveling for the last few days and blogging will be light for a few days yet. Yesterday the Malaysian government declared the vanishing of MH370 to have been an “accident”! There are many theories, but the one thing that is certain is that this was no accident. It is entirely impossible that the aircraft could have changed direction and flown westwards or that it could have performed its altitude changes by “accident”. The Malaysian government has done many, many silly things, but this announcement abandons reason. It also assumes that all the world is a fool.